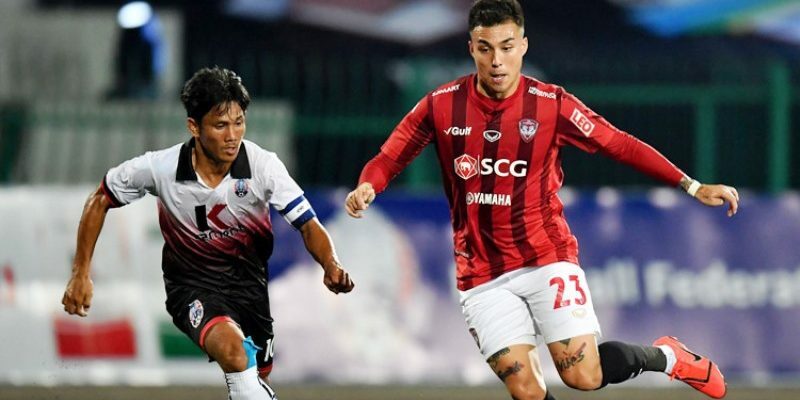 PHNOM PENH (11 Feb 2019) – Cambodia’s K-Cement All-Stars edged Thai Premier League side SCG Muangthong United 2-1 in a friendly that was played at the National Olympic Stadium. The hosts scored twice in the first half through Cameroonian forward Privat Mbarga and Cambodian midfielder Chhin Choeun before Muangthong pulled a goal back off Heberty Fernandes’ freekick. The game was part of Muangthong’s 2019 ASEAN Tour which saw them and Football Federation of Cambodia (FFC) committed to donate proceeds from the match towards funding football schools in all 25 cities and provinces in the country.